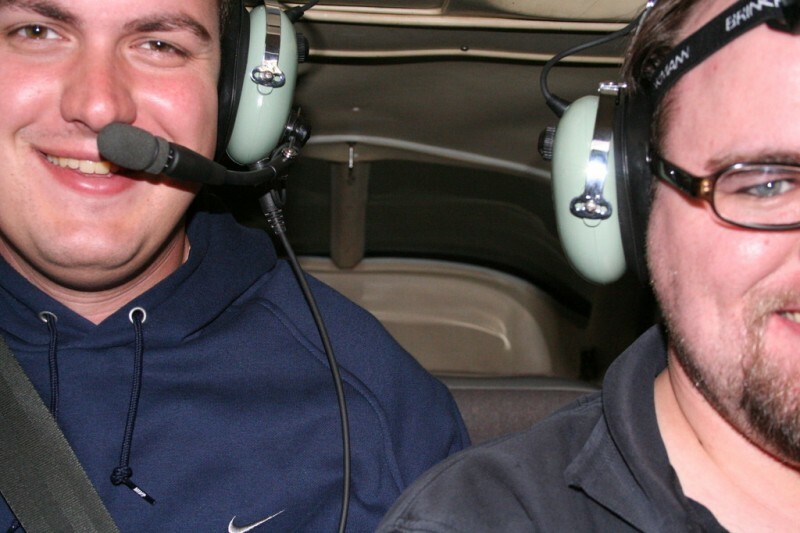 This was my first flight with my good friend Marcus, who somewhat recently got his private pilot’s license. 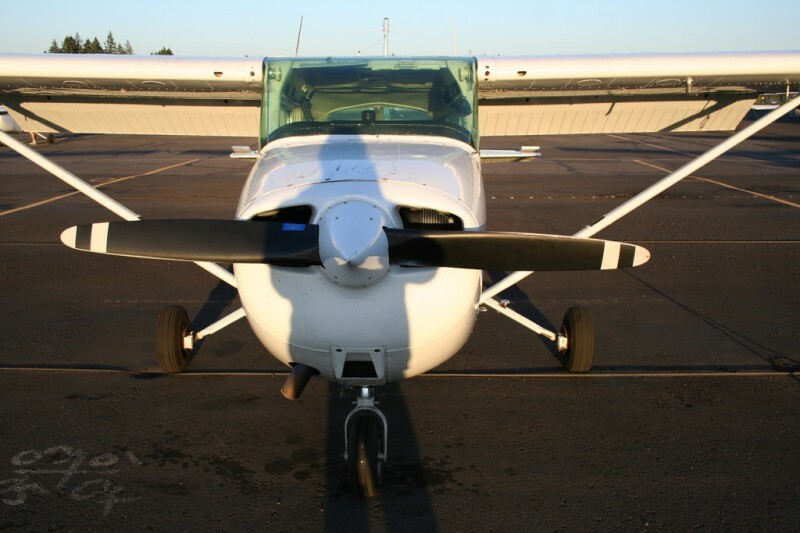 I had been hoping to go up with him ever since I heard about his interest in flying, and on this Wednesday evening I got to do it! It was a blast! We had reserved the plane for 6:00pm, but the people before us got back so late that our start was pretty delayed. We had planned to go down the Columbia River Gorge, then up to Mt. Adams, across to Mt. 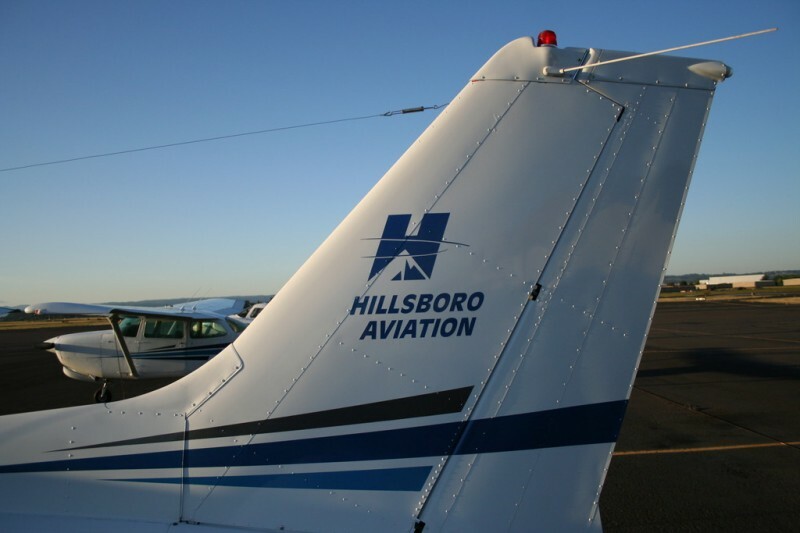 St. Helens and back to Hillsboro, but because of how late we took off and how early the sun is setting these days we decided to cut it short this time. 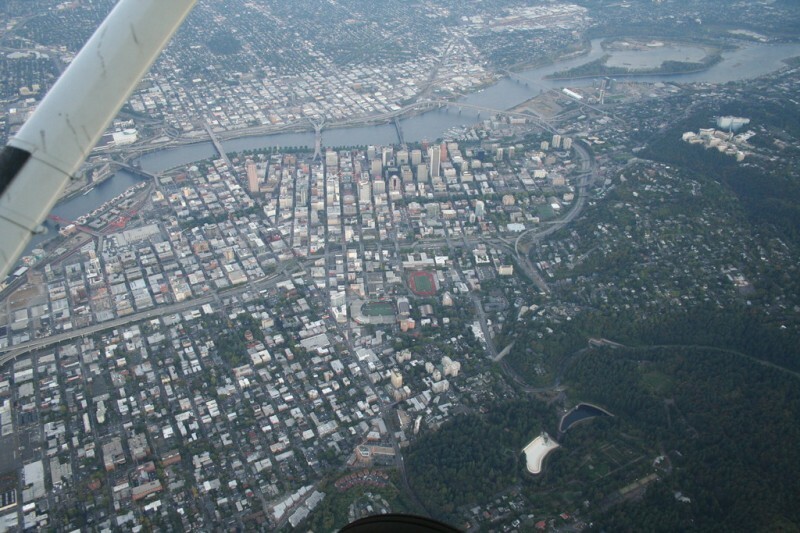 We still flew for 1.7 hours according to Marcus’s calculations and got some great views of downtown and the gorge. Marcus even let me take the controls for about a half an hour. That was really cool, not something I expected to do on my first flight! I really enjoyed learning about the various navigation and communications protocols and about how the instruments worked. I am really looking forward to doing it again in the future, especially during the day when we can see more. 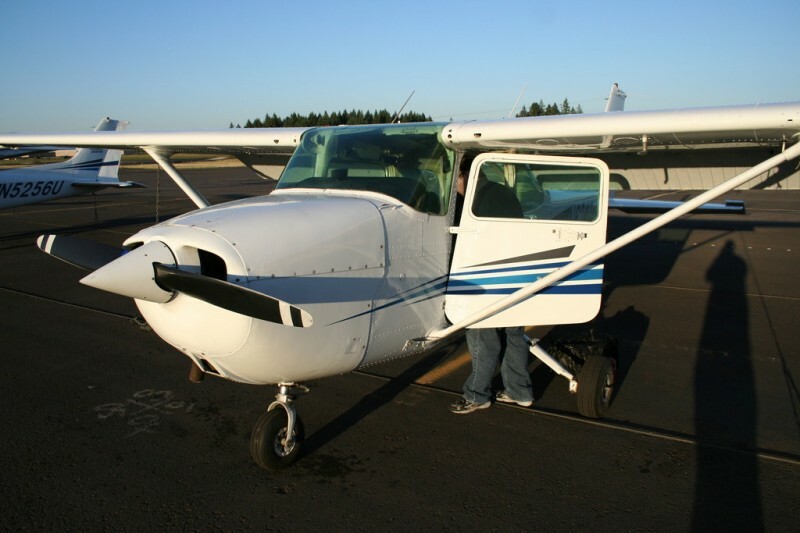 This was the airplane Marcus rented for our flight from Hillsboro Aviation, a Cessna 172P. 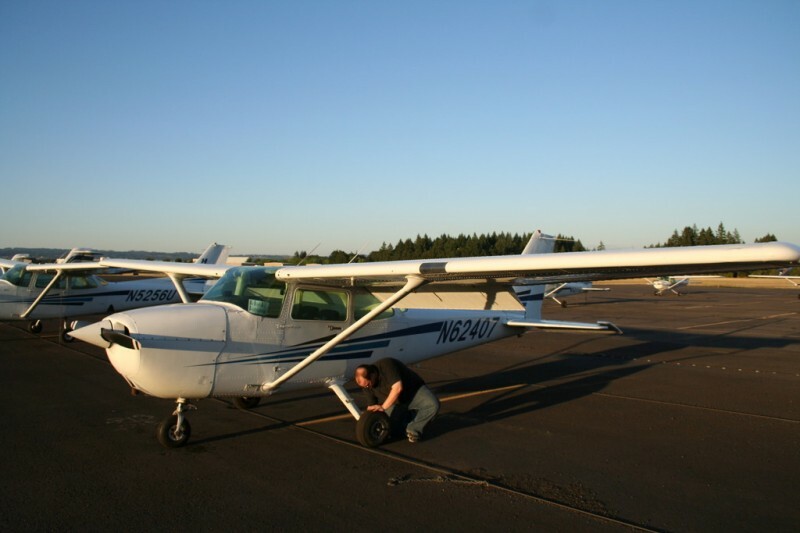 Here he was doing the pre-flight inspection, involving everything from checking the propeller for nicks to testing the fuel for sediment or water. 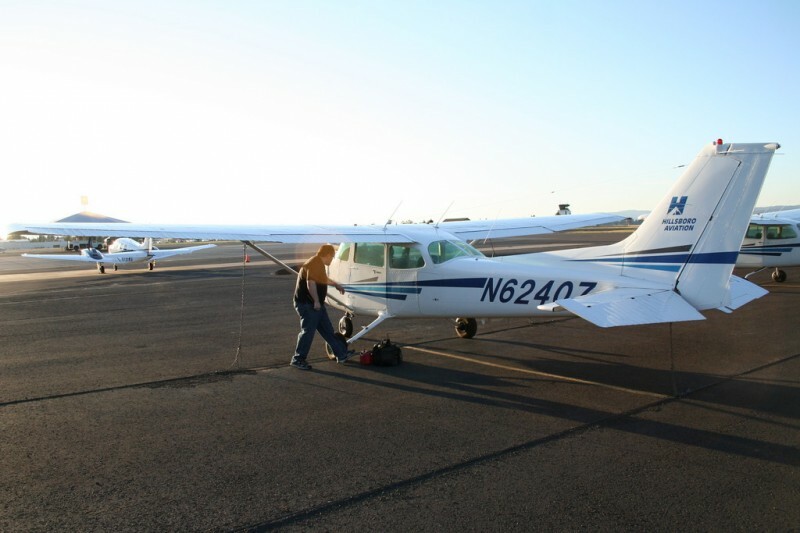 It's assuring to see how thoroughly the pilot inspects the plane before each flight. While Marcus was doing the inspection I just went around taking photos of the plane since it was my first time ever flying in anything so small. In the future I'll focus more of my photos on the scenery, but this time the airplane was fascinating. I just took this shot to show where we rented the airplane. 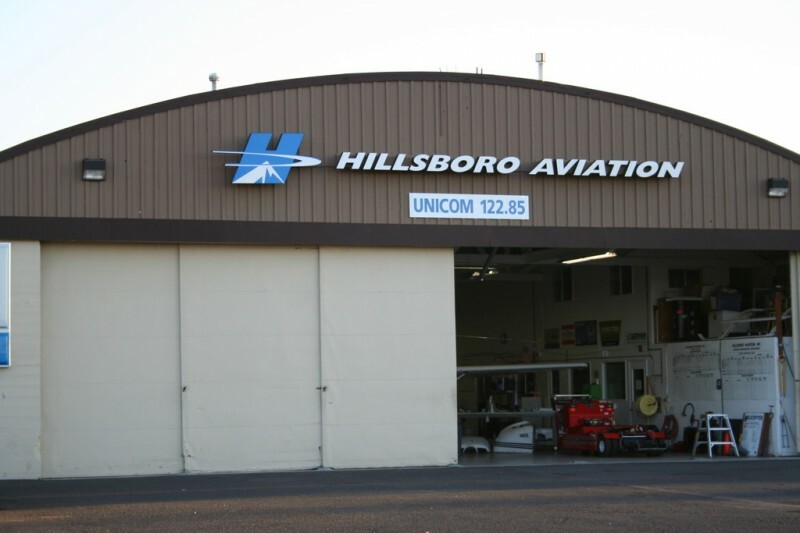 The building where the office was was actually to the left of his hangar. 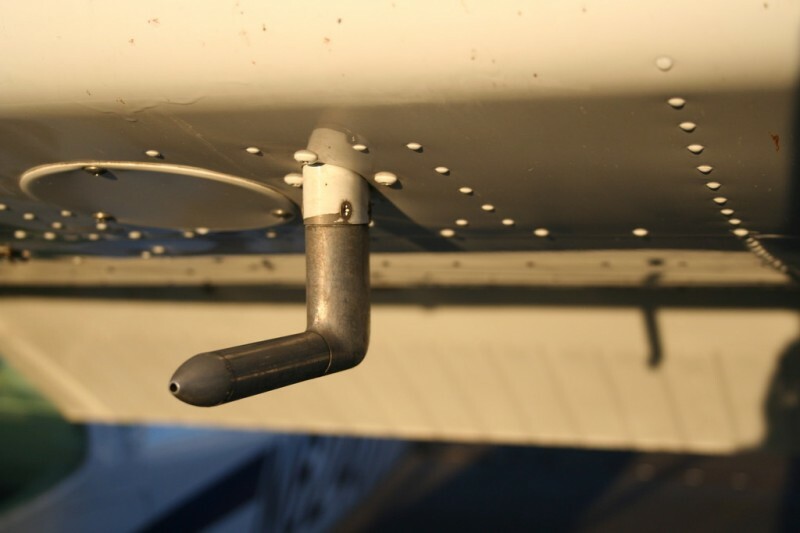 As Marcus was doing the inspection he showed me various parts of the plane, one of which was this, the Pitot tube. This is part of the mechanism that measures the air speed of the aircraft. I never really thought about how you would measure that, but I would have never guessed it would involve something as simple looking as this. And the thing that measures the barometric pressure (correct me if I'm wrong on some of this) looks like just a tiny hole on the side of the plane, and that is used to run the altimeter. Mechanical stuff always amazes me in this age of electronics. 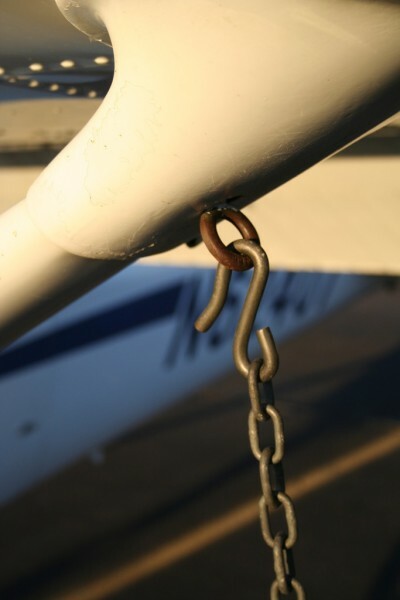 While the plane is parked it is anchored I believe by three chains that are attached to the ground. 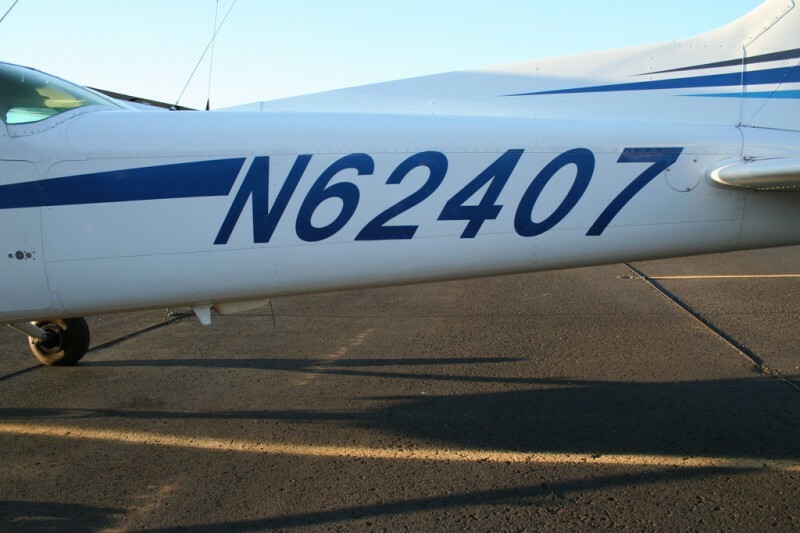 This is the anchor point on one of the wings. This is the headset I wore for the flight. 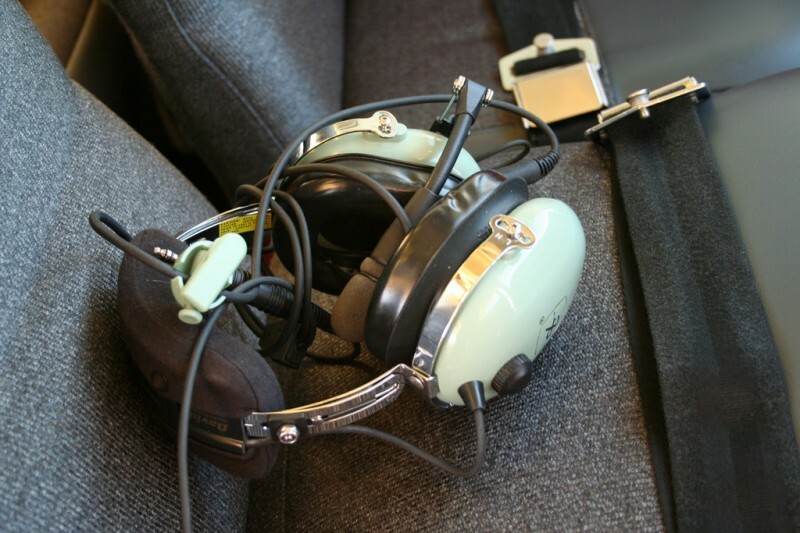 It was a pretty sweet experience to be listening to the radio during the flight and communicating with each other through these things. I had never listened to the radio communications before in any of my commercial flights, but I think from now on I will as long as it's made available. 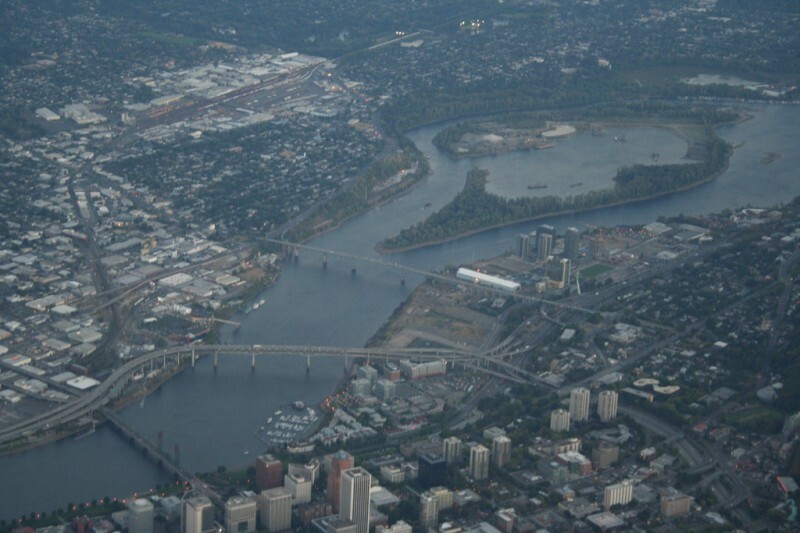 So, between that last photo and this one we had gotten clearance from Hillsboro to take off and had made our way over downtown Portland on a path to cross over PDX midfield. The sun was nearly set so it was hard to get good photos, but these turned out decently nonetheless. Regardless, it was amazing to get this perspective on the city. It's a pretty cool looking place. I thought this one turned out particularly well all things considered. I tried to zoom in as much as I could and hold the camera steady. 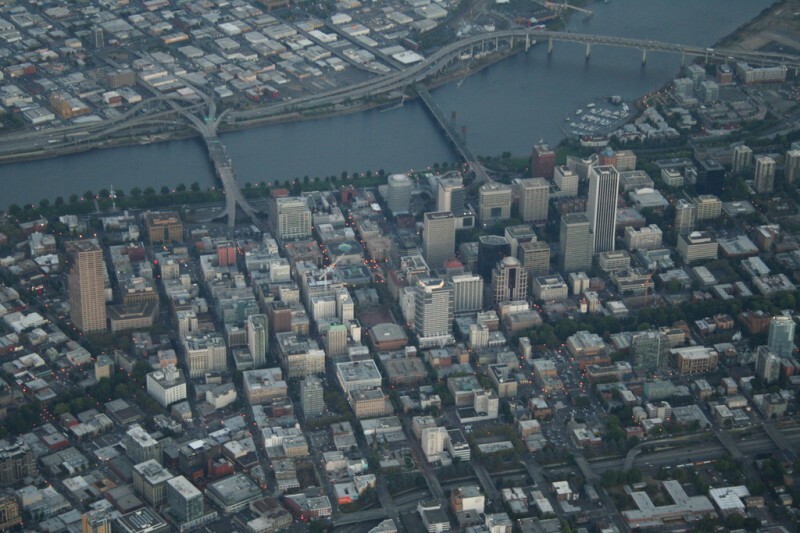 It's neat to see the buildings a little closer up from the overhead view. I have driven across the Ross Island bridge too many times to count, but I've never really realised the shape of the island itself. It's kinda interesting. 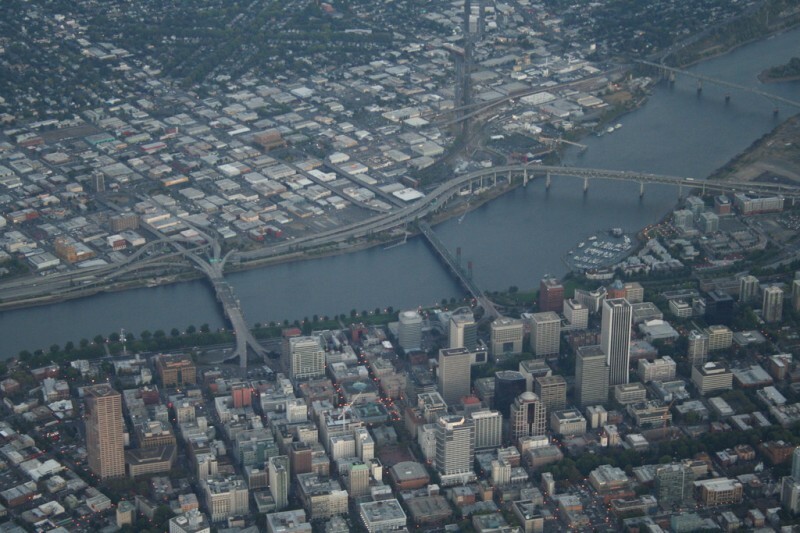 It's so cool to see the river and all the bridges from this perspective. 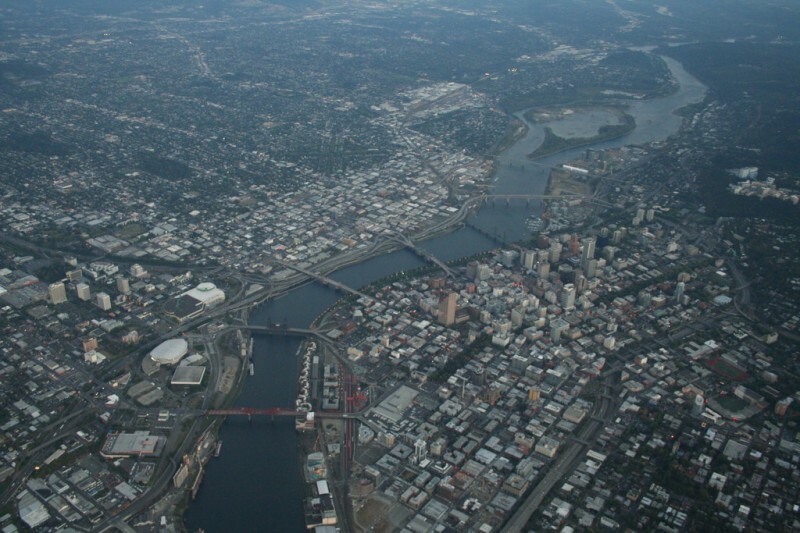 One of Portland's many nicknames is "Bridgetown", and you can see why. There's a t-shirt I've seen at Powell's Books that has a drawing similar to this photo on it. I've thought about getting it. 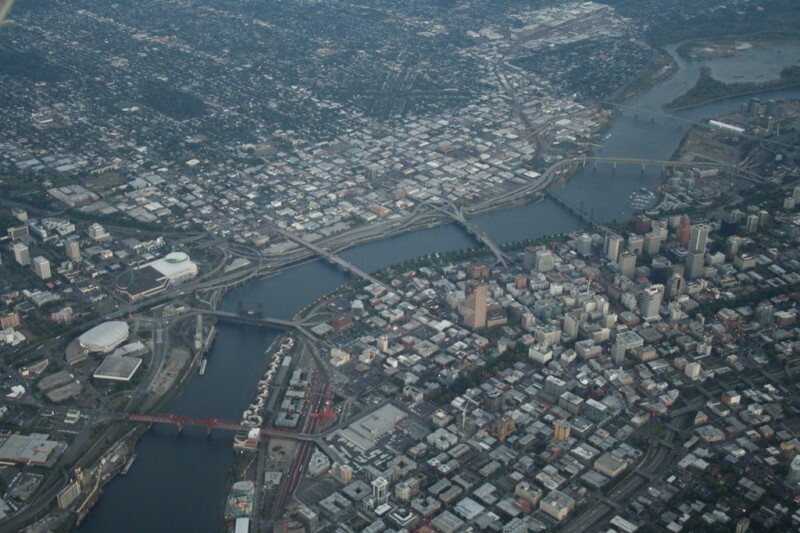 This was the last photo I got of the Willamette, the bridges and downtown Portland before we headed over north east toward the PDX airport. Like I said before, it was awesome to see the city from this perspective. 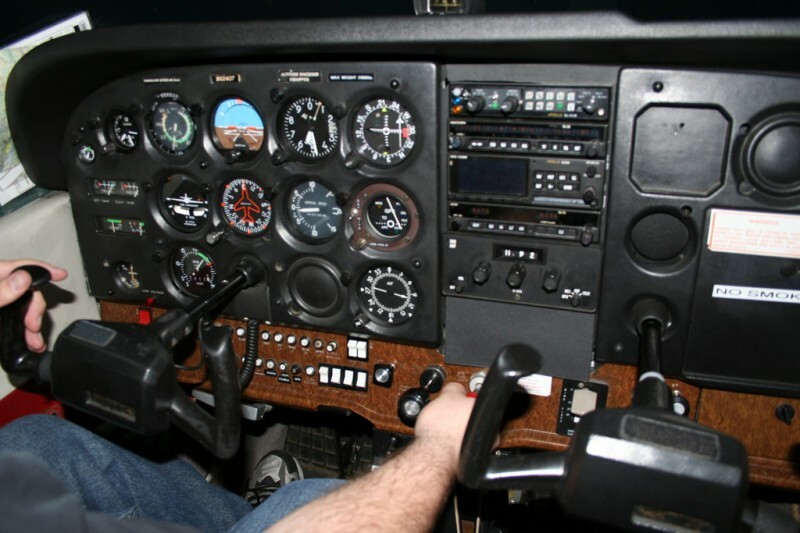 One of the most interesting things for me on my first flight was learning what most of these instruments did and how to use them for navigation and all that. It was also interesting to see that the controls were duplicated on each side so it could be flown from one side or the other more/less just as easily. After we reached Hood River, Marcus let me take the controls for about a half hour so I got to experience the very basics of what that felt like... keeping it level, keeping it on course and at the proper elevation. It was pretty sweet. Since it was so dark I wasn't able to get any great photos of the flight up and down the gorge. It was a very scenic flight, though, just not suitable for the camera. 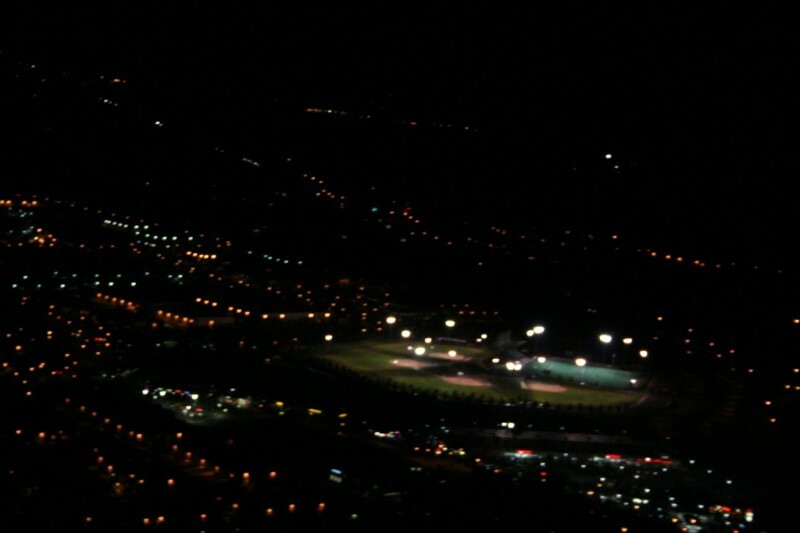 However, as we neared Hillsboro again just before we landed I snapped a few photos of the landmarks that were well lit. This is the Gordon Faber Recreation Complex where my dad has played softball before. 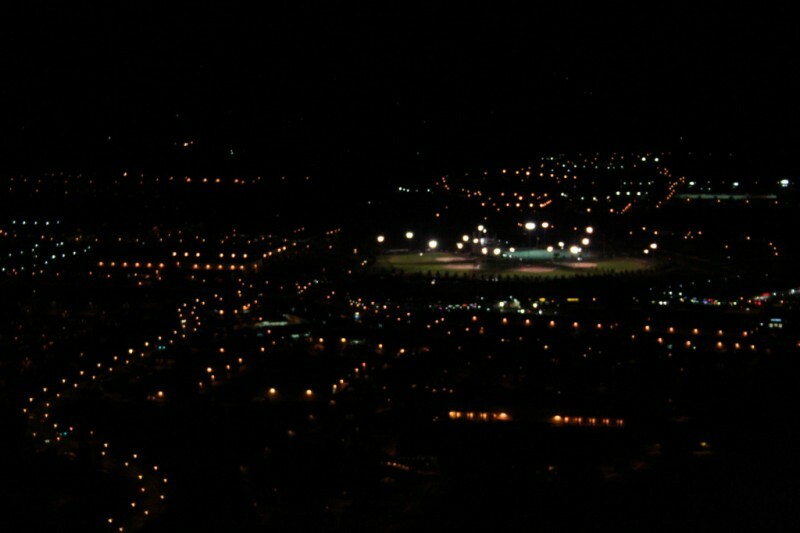 It looked pretty neat from the air all lit up. Here's another photo of the sports complex when we were at an even lower elevation. I like this one better because it is a bit less blurry. Shortly after I took that last photo we approached the runway and landed. 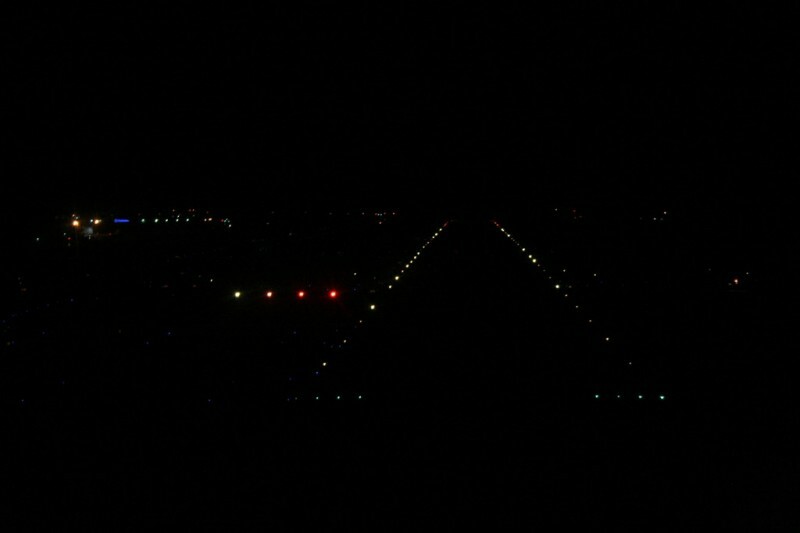 I took a series of photos of the runway lights, but I'll spare you all the repetition and just show this one as a representative of them all. 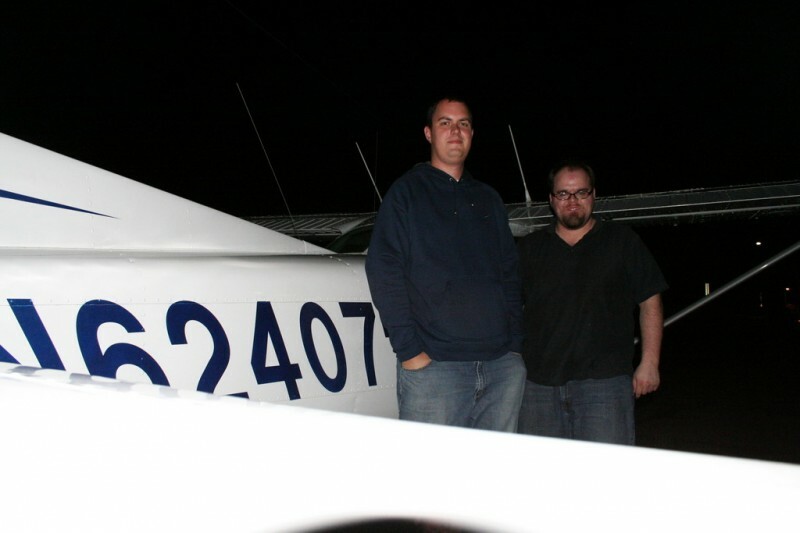 I wanted to get a shot of Marcus and I in the plane, so I set the camera on the dash and used the timer. I set the camera on the wing for this one and Marcus had a funny expression on his face because another plane had just landed and we were sort of in its way to park so we were anxiously awaiting the timer to run down and the shutter to expose the digital film. 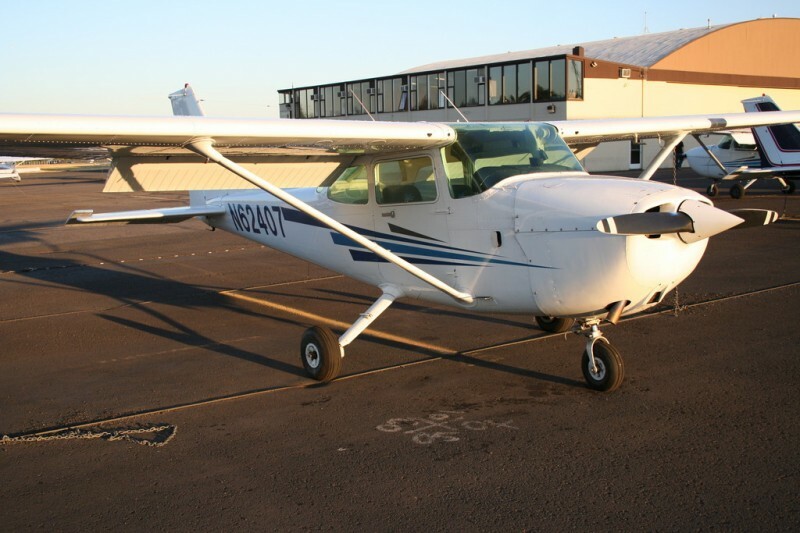 After we parked the plane and recorded the necessary info in the log book we headed back into the rental office to turn in the paperwork and pay the bill and such. 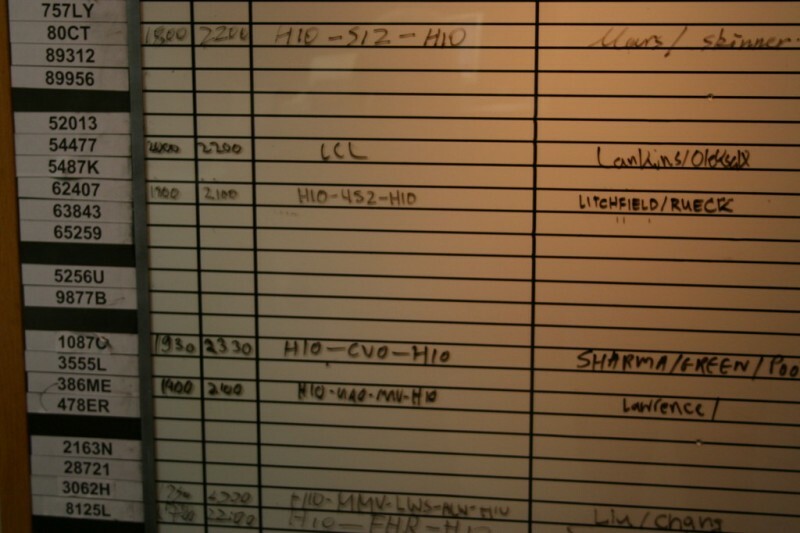 So, I took the opportunity to show my newbie-ness and take a photo of the schedule board with our names on it. 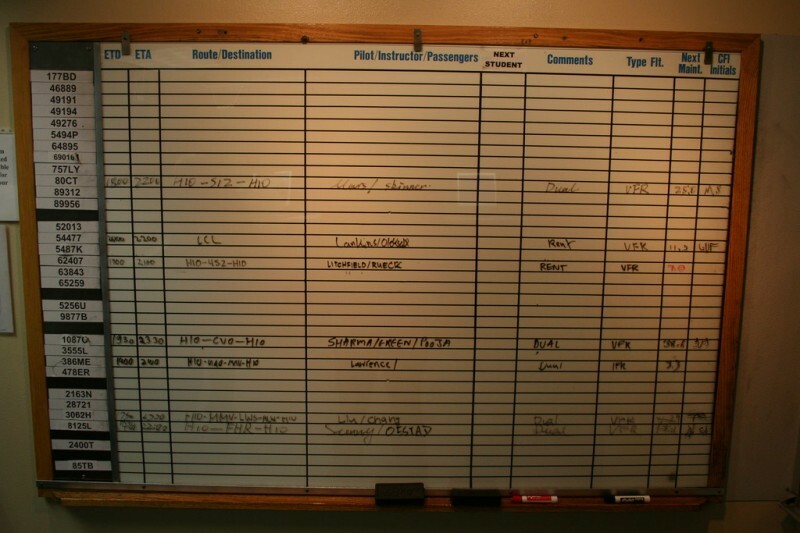 Here's a closer image of the board and our names and info. The whole thing was a great experience and I hope to get the privilege to do it many more times, especially in the daytime where we can see some awesome scenery and take cool photos.